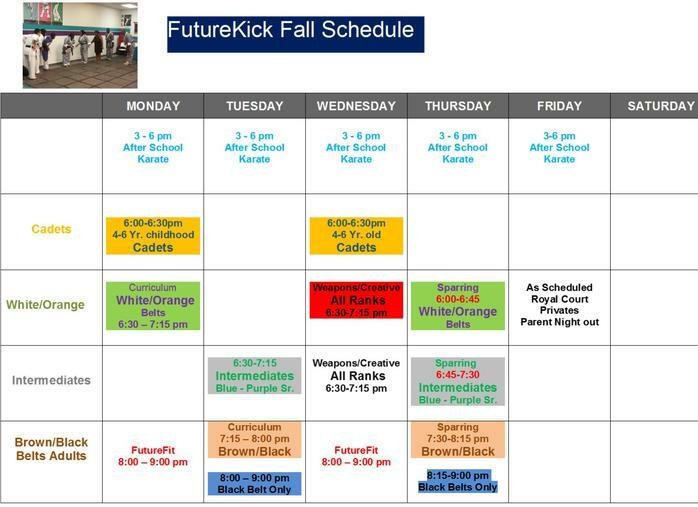 FutureKick Martial Arts & Fitness LLC. FutureKick Martial Arts & Fitness LLC. takes special care to understand the unique needs of each of our family members, which is why we have designed custom programs that exceed expectations. We are proud of the work we do, see our convenient class schedule. "Our Family Love's FutureKick Karate" Joining is one of the best things my 3 boys and I could have done. The classes build confidence and self-esteem. The instructors work hard, are dedicated and truly care about each student. With such a positive environment, "I strongly recommend FutureKIck Karate". I've noticed a great deal of progression in my son K. Lewis over the past four months of being enrolled in FutureKick Karate. He is learning leadership, discipline, and sportsmanship. When he first started, he was really shy, quiet, and reserved, but now he gets up in front of the class and performs full routines with little to no guidance and does very well. Watching him from his starting point until now, I am very pleased with the outcome. My family is very happy we made the choice of enrolling him in FutureKick, we would recommend them to anyone.